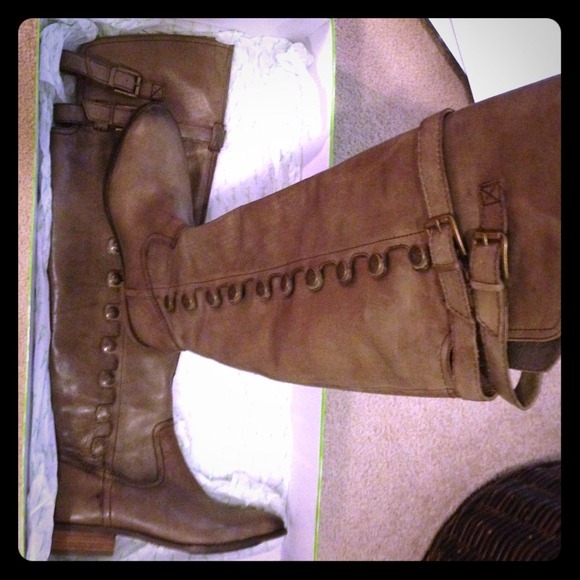 I have been on the hunt for a discontinued style of Sam Edelman boots. They are out of stock everywhere! Ebay doesn’t have the size or color I want, but the black ones that were retailing for around $200-300 dollars are being bought for up to $400! It’s pretty nuts. Now, as I am a persistent (and maybe a little obsessive) shopper, I was on a determined search for a decently priced pair in whiskey or olive. I heard of Poshmark from a youtube video and checked it out. Lo’ and behold! There was a bundle offer for a pair of the boots AND a pair of Frye boots for $200. Check it out here. She was basically selling my dream boots for $100! That was the CHEAPEST I have seen those boots offered anywhere! And these were only worn once for 4 hours. As I was wondering how bad wearing a size 9 would be on my size 8 feet (which took about a minute), someone swooped in and bought them. I snoozed and LOOZED. I guess it wasn’t meant to be, but that was the beginning of my relationship with Poshmark. As I am new to this community, I am not too knowledgable. Although Poshmark takes a 20% cut of what you make, the format seems to encourage the users to communicate easily with others and make the buying quick and easy. Rather than bidding in an auction style, users can either press the buy button or negotiate the price or push for a trade via comments. The buyer is charged $7 for shipping, and Poshmark sends the pre-paid, pre-addressed postage. 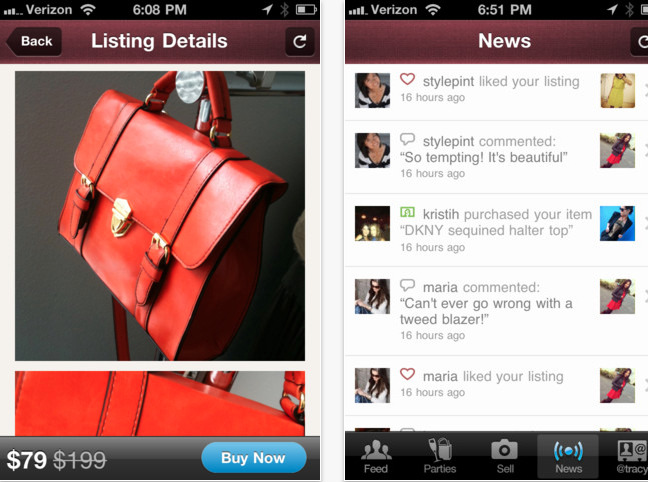 Trades between users aren’t encouraged by Poshmark, but people do it. There are good experiences and bad due to no formal way to rate users or “protect” trades. You may not get what you wanted or worse, not receive anything at all. A fun alternative to eBay. I may be selling off some stuff soon! I’m echo73 on it. Check out my future “closet”! Written by: Erica Cho on January 2, 2013.